The TV screens that often come embedded in airplanes cost $15,000 a seat or almost $8 million per aircraft. They’re the biggest driver of maintenance costs, after engines and landing gear. With planes increasingly coming with Wi-Fi there’s less of a need to keep passengers entertained with movies. While they won’t be able to stream Netflix in the air, they can do some internet reading and chatting. Other airlines are handing out devices to passengers. Openskies a French Airline distributes 500 tablets to passengers pre-loaded with videos. This costs $250,000 per plane which is much cheaper than built-in systems. Another airline, Trasavia, has trialed giving out Occulus Rift virtual reality headsets to each of its passengers. 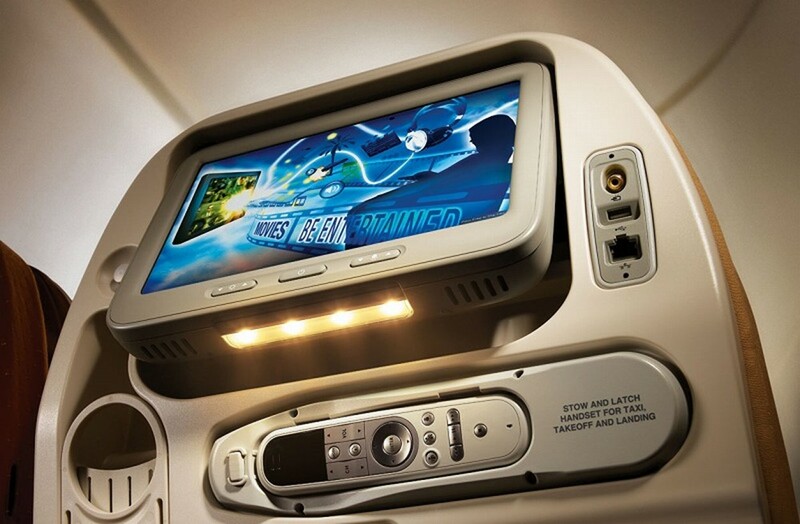 Aircraft can also come with movies on a central server which are then streamed to passengers’ own personal devices. Since the movies are stored onboard passengers don’t have to pay absurd charges to access the movies. See how other airlines are cutting costs, the future of in-flight holograms, and much more over here.